Who do you trust to design the launch product for a new brand? Webcon are a leading global manufacturer and distributor of Carburation and Engine Management Systems. 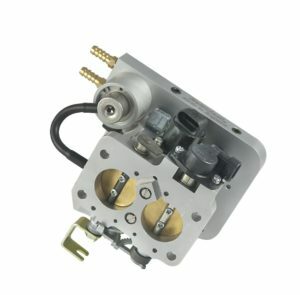 With their portfolio of customers and access to key components, they wanted a throttle body designed to directly replace the DGV family of carburetors with a plug and play fuel injection system. Why? To get the benefits of modern performance and control, with the absolute minimum of installation change by the customer. Performance Projects were chosen to undertake the work. After careful consultation, a modular design of three layers was undertaken, in which machining could be as simple and cost effective as possible. The modular design also enabled the injectors to be located between the upper and lower layers, forming a natural and cost effective manifold whilst still being positioned carefully to optimise spray pattern direction. Manifold geometry, height, spindle positions and packaging envelope were mirrored from the DGV, but with the addition of fuel injectors, fuel pressure regulator, idle control valve, temperature sensor and a throttle position sensor. 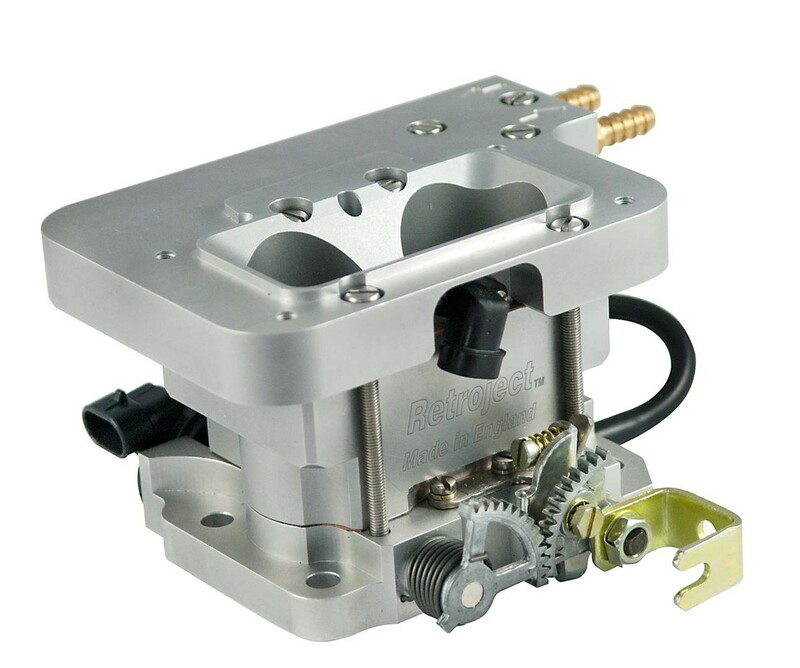 Finally, detail elements, such as machining features to show fuel connections, were added to minimise installation errors, thus reducing any customer query and support overhead.